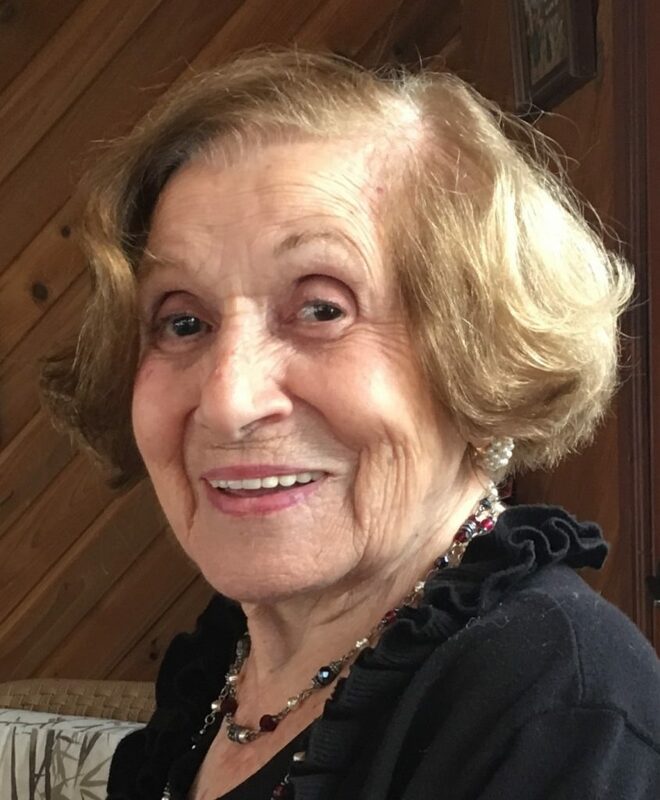 Mary T. Galasso (nee Petruzzi), 99, of River Vale, formerly of Fair Lawn and Brooklyn, passed away at home surrounded by her loving family on Friday, March 29, 2019. Beloved wife of the late Louis C. Galasso. Devoted mother of three sons; Vincent L. and wife Cilia of River Vale, Carmine L. and partner Nina Berman of NYC and Louis C. and wife Maria of Parsippany. Proud grandmother of Valerie, Joseph, Christine, Anthony, Natalie and Carla and great-grandmother of Julia, Nevin and Audrey. She was predeceased by nine brothers and sisters. Mary was a devoted member of the Society of the Little Flower and was a parishioner of St. Pius X RC Church, Old Tappan. A Funeral Mass will be celebrated on Wednesday 10 AM at St. Pius X Church with interment to follow at George Washington Memorial Park, Paramus. Visiting hours are Tuesday 2-4 & 7-9 PM at Pizzi Funeral Home, 120 Paris Ave, Northvale (201-767-3050). Our sincere condolences to the entire Galasso Family during this time of loss. Lou and Maria: We love you very much. My deepest sympathies to the entire Galasso family on the passing of their beloved Mary Galasso. Mary had to have been a wonderful woman because she raised a son, Carmine (and, no doubt, his siblings) to be a great man. May Mary rest in peace, and may her family be comforted in their loss, knowing that Mary lived a life of love and deep faith and passed those traits on to her children. God bless all. Sending hugs and prayers during this difficult time to the entire Galasso Family. Mary was a beautiful person with a beautiful heart. She will truly be missed.